All material Copyright © 2012 - 2019 Go Andes Ltd, All Rights Reserved. Registered in England and Wales No. 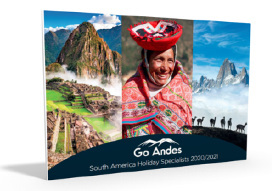 8315212 | VAT Number: 157 8603 81 | Travel Trust Association Membership Number: Q1338 | ATOL Number: T7557 | Registered Address: Go Andes Ltd, 17 Herdwick Close, Ashford, Kent, TN25 7FH.